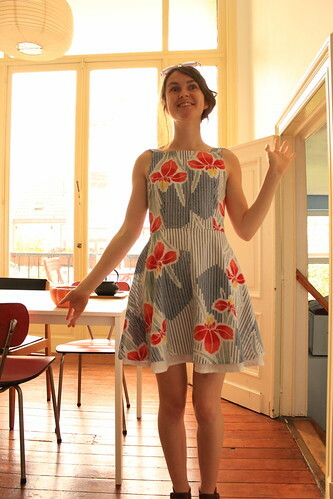 Last month when I made my Flora dress I made a wearable muslin first from a weird huge kaftan thing bought in the fleamarket. And with the leftover fabric I decided to make another (hopefully) wearable muslin for the Maritme shorts from Grainline Studio. i.e. 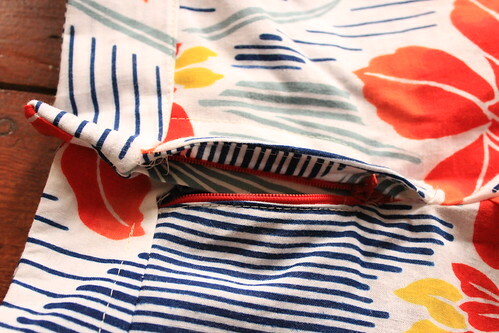 a MATCHING shorts and dress combination. YES PLEASE. However, while the dress muslin is perfectly wearable, sadly the shorts muslin is not so wearable: they just don’t fit at all, far too small! 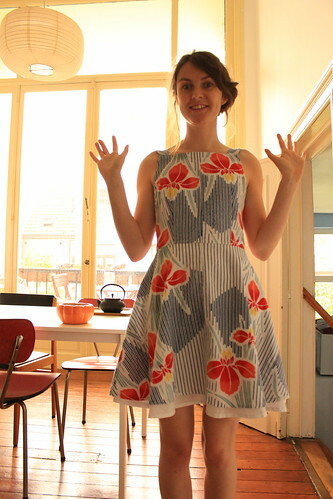 So it’s back to the pattern for some adjustments and a second attempt (at some point). Despite the fact that they don’t fit the sewing itself went well and it was really interesting to sew a totally different garment than what I am used to and try and decipher the instructions for new techniques. And at least now I know how to sew a fly! 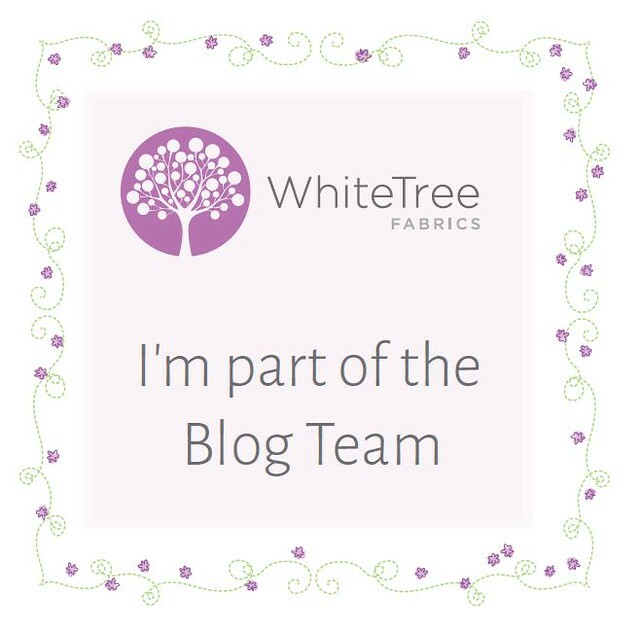 Next Post White Tree Fabrics – on the blog team! 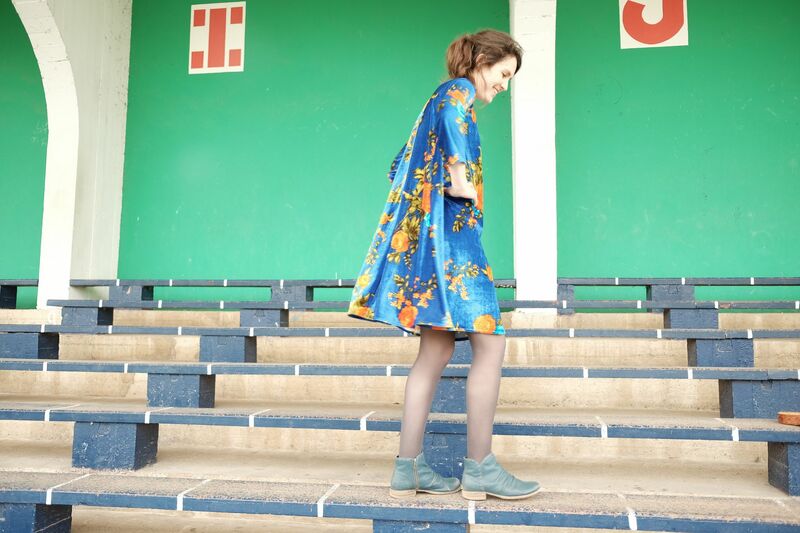 This dress is gorgeous, what a great use for a kaftan. Pants to the shorts being too small, the fly zip looks great though. 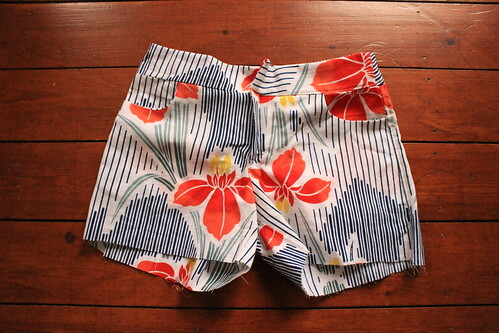 It's a pity the shorts didn't fit but they were a good practice run otherwise as they look perfectly made! 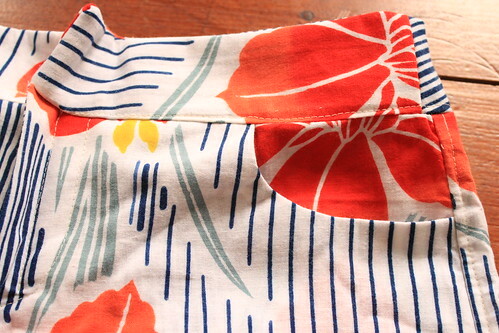 I love that print, your Flora is gorgeous.